Subodh Kumar Singh was the investigating officer in the killing of Mohammad Akhlaq in Dadri by a mob. The Uttar Pradesh police officer, who was killed by a mob following cow slaughter in Bulandshahr earlier this month, was attacked with stones, sticks, an axe before he was shot dead with his licenced revolver, police said. Attempts were also made to set his jeep on fire, they added. The chilling details about the brutality preceding inspector Subodh Kumar Singh's death have emerged following the arrest of the main accused who the police claim had pulled the trigger. Prashant Natt, who drove an Ola cab in Delhi till about six months ago, was arrested from his in-laws' home in Greater Noida on Thursday. The UP police say he has confessed to shooting Subodh Singh. Subodh Kumar Singh was attacked by a mob when he and his team had gone to a village to defuse tension after cow carcasses were found in a forest. The protests escalated after activists of right-wing group Bajrang Dal came to the area and blocked a road with a truck carrying the dead cows. Prashant Natt drove an Ola cab in Delhi till about six months ago. The officer was first hit with a rock by a mob of around 400 people. Bajrang Dal activist Yogesh Raj, who has been missing since December 3 when violence erupted just 20 metres from the police station, and another man called Kalua had instigated the mob, according to the police. Mr Singh was trying to handle the mob when Kalua reportedly attacked him with an axe. The cop's finger was chopped off before he was struck in the head. 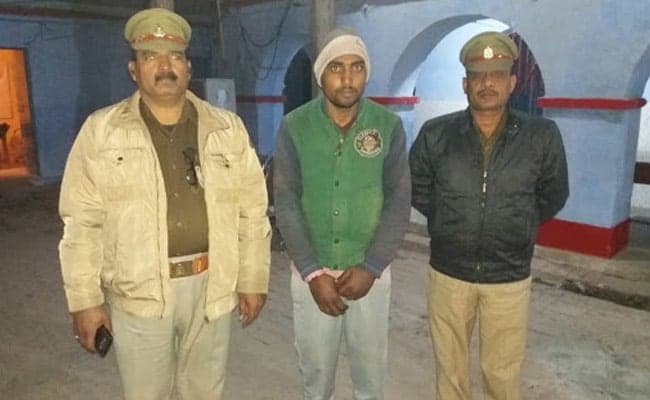 The officer tried to escape but the accused men caught hold of him and dragged him to the fields, where Prashant Natt took out Subodh Kumar Singh service revolver and shot him, police said. The cruelty didn't stop there. The men kept hitting him with sticks as his fellow officers tried to rescue him. They put him in the jeep to take him to the hospital, but the mob started throwing stones at the vehicle forcing the cops to disperse to save their lives, an officer said. The mob then tried to set the vehicle on fire, but the cops returned and brought Subodh Kumar out of the jeep, police said. The post-mortem report said he was shot at point-blank range above left eyebrow, and he had several fractures in his hand and legs. The police have named 27 people in the FIR or first information report. Over 20 of them, including an Army man, have been arrested. But Prashant Natt was not named in the FIR. It was deliberate, said Prabhakar Chaudhary, Senior Superintendent of Police, Bulandshahr. "Prashant Natt had always been the main accused. He along with his wife and children went missing after the incident. We kept it under wraps as we didn't want to alert him. His role became clear after the special investigation team (SIT) analysed the video footage, collected evidence, spoke to eyewitnesses and those who have been arrested," Mr Chaudhary told NDTV. Natt's brother, however, claims that he is being made a scapegoat by the police. "The police haven't been able to arrest the mastermind so they have arrested my brother," he said. A court has sent Natt to a 14-day judicial custody.